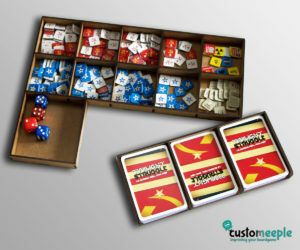 Are you tired of the air of the game boxes?, games that comes with annoying inserts instead of a handy one?. 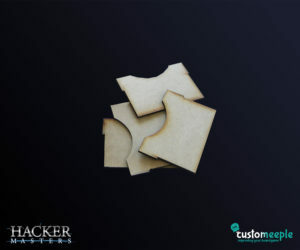 This is your solution! 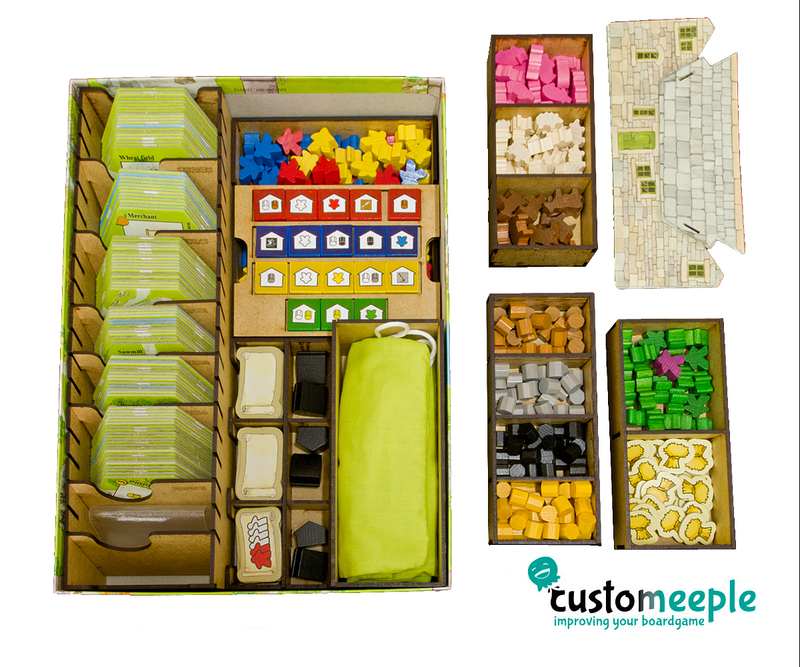 buy your own insert that you can customize for yourself. 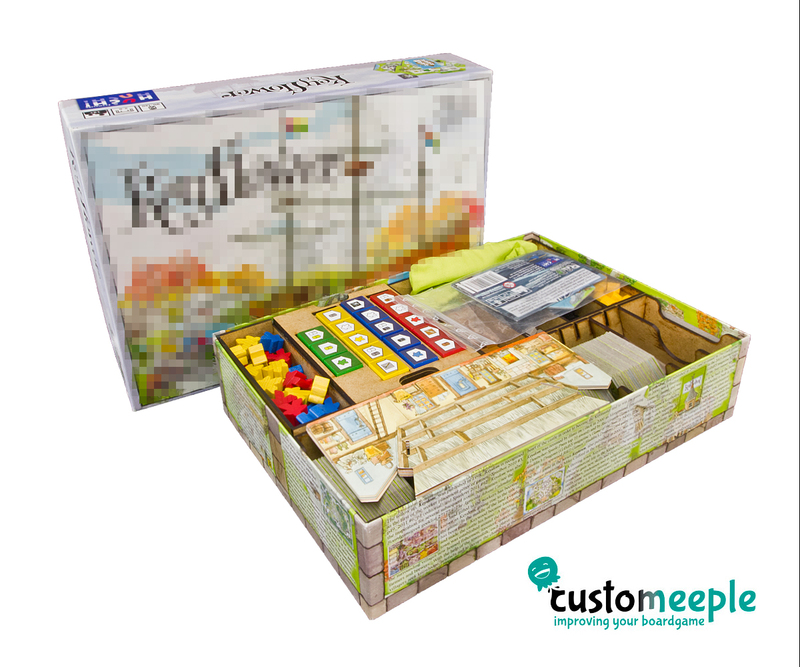 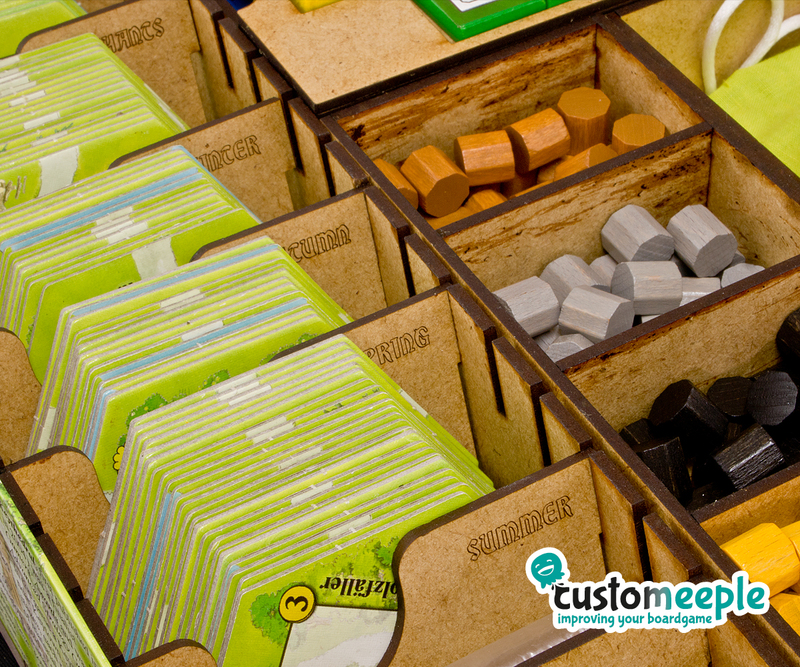 Never again will the pieces rumble thought the box, or you can also keep organized all you cards from a card game. 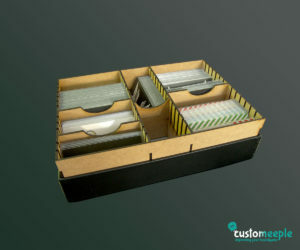 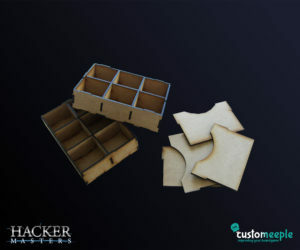 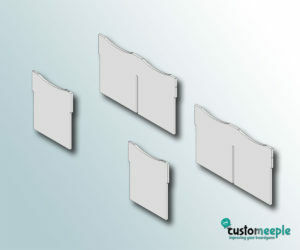 Use: A game insert for 30,8 x 21,9 x 7 cm boxes. Keyflower is a game published by R & D games Customeeple is not affiliated with this company and this product is not endorsed by them.